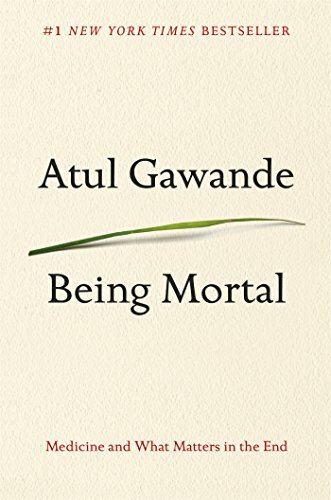 Atul Gawande's best-selling medical book bears a stunning title, "Being Mortal." While modern medical advances have improved lives and delayed death, eventually, sometimes kicking and screaming, medicine surrenders to the inevitable reality that we remain, in the end, mortal. In many ways, this acknowledgement is the greatest gift of Gawande's book. We will really all die. For all of our talk about "choosing our own destiny" and though the experience of death has moved out of sight, from our homes to now hiding in hospitals, mortality is painfully resistant to being cured. But against this enemy, medicine marches on. In 1847, Henry Lyte, an Anglican minister known for his two books of Christian poetry, wrote this hymn as he was dying of tuberculosis and finished it on the last day he preached to his beloved congregation. He said to them, "O brethren, I stand here among you today, as alive from the dead, if I may hope to impress it upon you, and induce you to prepare for that solemn hour which must come to all, by a timely acquaintance with the death of Christ.” He set off the next day for Italy, but died en route while in France. This final and best-known hymn, "Abide With Me", has been played daily on the bells of his parish church since his death, has been sung at royal weddings, and was included in Mother Theresa's funeral. In this hymn, the worshipper asks the Lord Christ to be near to him in ways no other helper or comforter can. It vividly expresses the loneliness of death, its ability to steal our bodily capacities, the way it demonstrates our frailty, and the reality that we need Jesus to shepherd us through this part of living and dying. Gawande is also a vivid storyteller, and in many ways his book succeeds by humanizing an experience that clinicians often forget is, well, human. Lyte's hymn does the same. It rehearses for the church, from its own mouth and into its ears the reality that we will die. Neither Gawande nor Lyte are morbid or dour, but they are honest. This book and this hymn come from the pens of skilled physicians: one for bodies, one for souls, yet each aware that the human is always both. At death the soul and body separate, yet strangely, it is in the experience of dying that the unity of the person as both a body and soul, in which these parts live in a back and forth, give and take, dance of sorts, is most apparent. One striking similarity between the book and the hymn is the way each author turns inward on the person's experience. Very often in healthcare settings people who are dying are never asked what they care about, what they want, how they feel about this most personal experience. Gawande masterfully exposes the cascading events that our system forces on dying people, often inevitably disregarding the personal nature of life and death. In his hymn, Lyte gives voice to painful personal realities: loneliness, helplessness, a feeling of inevitability, lack of pleasure, and the need for hope beyond death. Gawande does not answer all of these needs, but by refocusing clinicians on the person, he creates much needed space for these needs to be addressed. Both Lyte and Gawande recognize that there are ways, physically and spiritually, that death can be better. For Gawande, it can be better through better medical care that respects the dying. For Lyte, death, the great enemy, is disarmed and made a door to eternal life through Jesus Christ.